Help your littlest learners harness their energy and potential by teaching them to listen, pay attention, control their behavior, and get along with others. 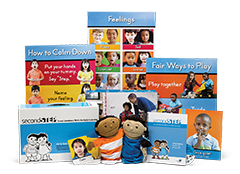 When students enter kindergarten with the self-regulation and social-emotional skills taught in the research-based Second Step Program, they’re set up for success. 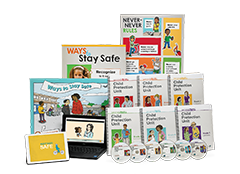 To make the big transition to elementary school, kids need to learn new skills, such as how to control impulses, stay focused, and follow rules. 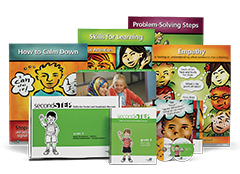 The research-based Second Step program helps teachers give students the skills and confidence they need to adjust to a full day of learning. 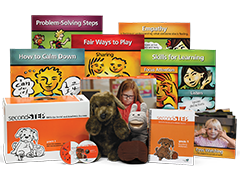 Kids are captivated by the colorful Second Step lesson cards, interactive songs, games, and especially beloved puppets Puppy and Snail and plush Be-Calm Bunny. First-graders feel big. They’re no longer the youngest, and they’re learning and growing fast. Socially and emotionally, they need skills such as knowing how to calm down, get along with others, and practice empathy. 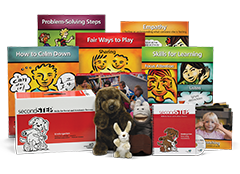 The research-based Second Step Program makes learning those lessons fun with colorful materials, new songs and videos, puppets, and engaging Brain Builder games. By second grade, students have gained a sense of independence and self-awareness and are ready to start solving problems on their own. 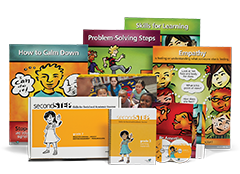 Teachers use the research-based Second Step lessons and accompanying games, videos, and daily activities to teach students skills—such as how to avoid assumptions, pay attention and listen, finish tasks, and show compassion—that can lead to gains in confidence and school success. In third grade, students make academic and social leaps, reading more challenging books, working through multi-step math problems, and participating more in collaborative work and shared learning experiences. 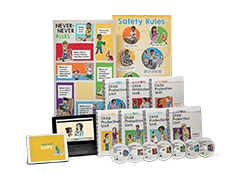 The research-based Second Step Program provides engaging videos and lively Brain Builder games to make it easier to learn skills like managing anxiety and disappointment and how to work together respectfully. 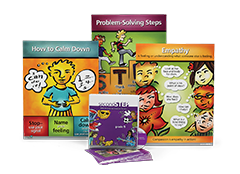 As fourth-grade students interact even more with peers, the research-based Second Step Program reinforces skills such as participating in conversations, giving compliments, managing strong feelings, and taking responsibility. They’ll love the award-winning music videos, which can make remembering their problem-solving and calming-down skills a breeze. 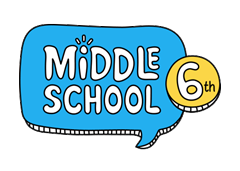 Fifth-grade students pay attention to social status and need skills to deal with gossip and peer pressure. Additionally, they need skills to help them self-regulate so they can focus in class and learn. 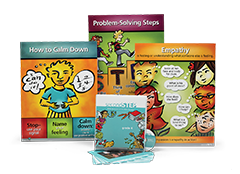 The research-based Second Step Program includes activities, award-winning videos, and guided classroom discussions to help students understand the complexities of feelings and reactions so they can be ready to learn and deal with emotions and problems responsibly.